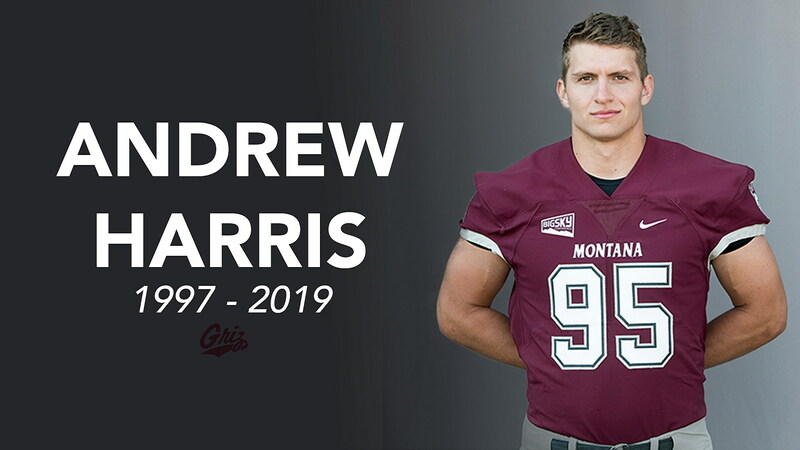 University of Montana students, coaches and administrators on Wednesday mourned the death of Grizzly football player Andrew Harris after he was found in his Missoula home a day earlier. The Missoula Police Department is investigating Harris’ death as a suicide. He was 22. Harris was studying business management. His career as a Grizzly started in 2015 as a redshirt freshman. He was entering his senior season, having played 11 games at both linebacker and defensive end. He logged three tackles and a sack in the spring Griz game and was a first team all-state player for the 2014 state AA champion Glacier High School in Kalispell. His father played for UM from 1971 to 1975 and for the Jets and 49ers, while Harris’ older brother was a defensive end at UM from 2008 to 2012. Haslam said that Harris’ family, teammates and other student-athletes were notified on Tuesday. ASUM president Alex Butler said that the campus is a close community, and losses like this affect everyone. “It’s incredibly sad that something like this happens so close to home, whether you have a class with him or not, or you’re a football player, we have such a tight community here that a loss like this seems to have ripple effects everywhere,” Butler said. He encouraged students to reach out to support services like Curry Health Center or talk to a friend or family. Cathy Joy, assistant director for counseling services at Curry Health Center, said the center will continue to be open for students who need support or urgent assistance. They can also help staff and faculty connect with counseling services in Missoula. The Montana suicide crisis line is available 24 hours a day, and can be reached at 1-800-273-TALK. According to Joy, Montana has the nation’s high rate of suicide per capita, and for college students in particular, it’s the second leading cause of death. Curry Health Center will continue to be a presence during campus events to ensure that students know about services available to them. Grizzly Athletics will observe a moment of silence for Harris ahead of the men’s basketball game against Idaho State on Thursday night. Memorial services will be announced at a later date.